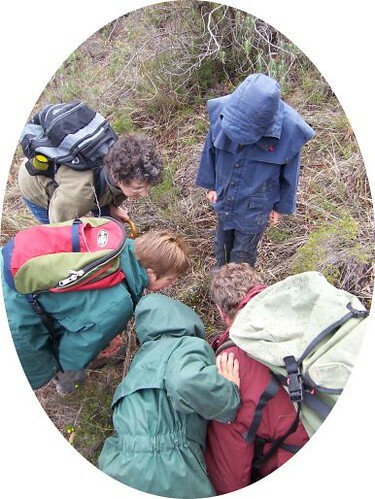 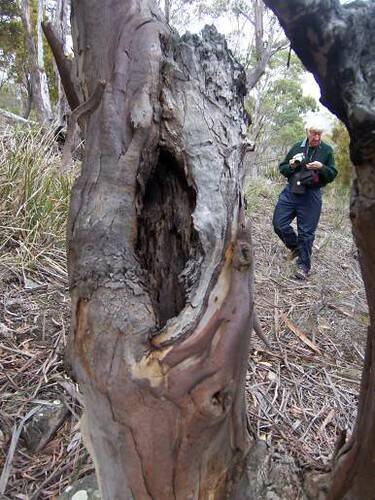 We passed by a small eucalypt with a likely hollow - was it a home for some small animal? 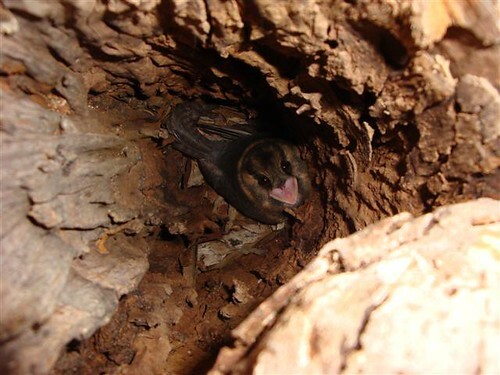 On the off-chance, Robyn held her camera to the hollow... and discovered a baby Owlet Nightjar. 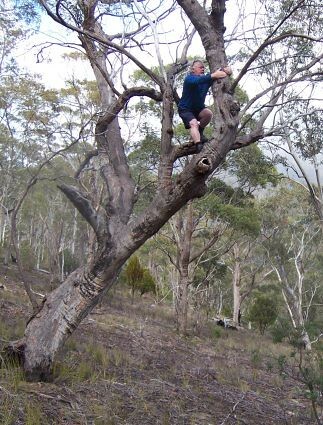 Some club members are arboreal! 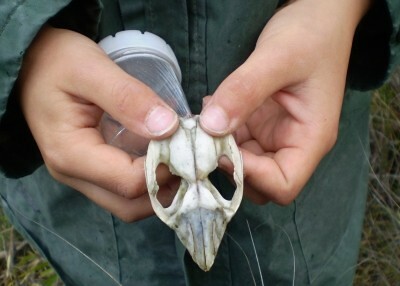 Skull of a Ringtail Possum. 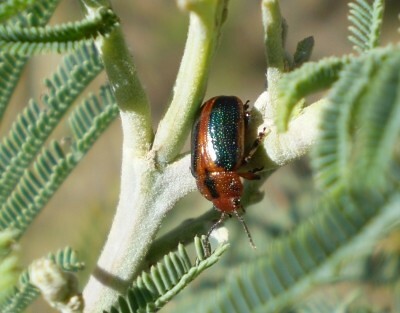 A chrysomelid Calomela curtisi on wattle.